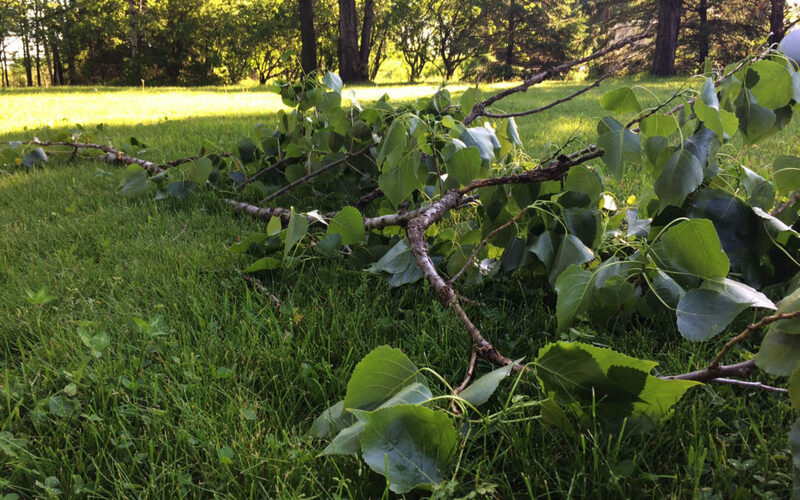 Summertime severe weather poses the threat of damaging your home from fallen, blowing debris from trees, high speed winds, hail, and large quantities of rain. Assessing your home immediately after a large storm is a critical step when filing an insurance claim. If a storm brings concerns about possible damage to your property, remember to take these steps to inspect for damage. Is sump pump properly working to drain water? If you notice any signs of damage to your property, take photos and write down all details. These images and notes will help in filing your insurance claim. Take steps to ensure your home is safe – board up broken windows, tarp any roof repairs, remove standing water. And of course, call us. Our agents are on your side and will help file your claim according to your policy. (218) 491-7855. Don’t forget – if a storm happens outside of business hours, contact your policy holder right away. Click here for 24/7 Claims Assistance.